Minnesota motorists can support conservation with a new critical habitat license plate featuring moose art by renowned wildlife artist Les Kouba. lady’s slipper, a fishing scene and white-tailed deer. The Minnesota Legislature created the critical habitat license plate program in 1995 to provide additional opportunity for Minnesotans to contribute toward conservation. 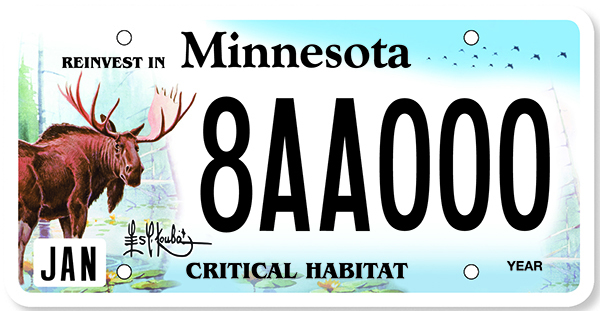 Motorists who purchase a critical habitat plate make a minimum annual contribution of $30 to the Reinvest in Minnesota (RIM) program. Every dollar generated through the sale of the license plate is matched with private donations of cash or land. Critical habitat license plate revenue has generated more than $25 million toward the purchase of 7,700 acres of critical habitat and helped fund non-game wildlife research and surveys, habitat enhancement and educational programs. Information about the program is available on the DNR website at www.mndnr.gov/plates. Revenue from the sale of the new moose plate will go directly to RIM Critical Habitat and not be used for moose research and management. The DNR worked with Les Kouba Outdoors to design the license plate using previously unpublished art. The two organizations also signed a partnership agreement that will use some of the proceeds from the sale of Kouba’s moose imagery to help fund research and management projects. “This is a unique public-private partnership formed to help pay for wildlife research and habitat work that we hope keeps moose on Minnesota’s landscape,” said Lou Cornicelli, DNR wildlife research manager. 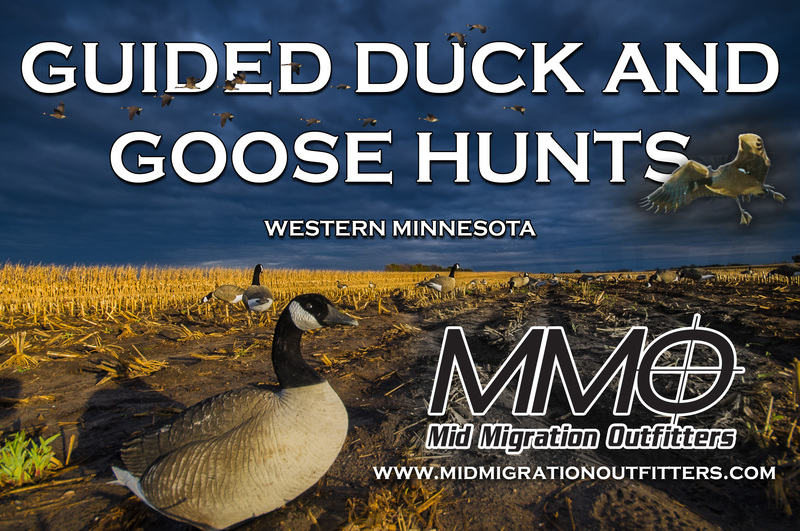 to join Call of The Moose Minnesota as a member, sponsor or licensee. Les Kouba Outdoors will direct a significant portion of the proceeds to Minnesota’s moose research and management. Information about the partnership is available online at www.callofthemoose.com. The new license plates are now available at deputy registrar offices statewide. For questions about ordering critical habitat license plates, call the Department of Public Safety-Driver and Vehicle Services at 651-297-3304. Previous GAME FAIR: DAY 3 PICTURES! Dogs everywhere!